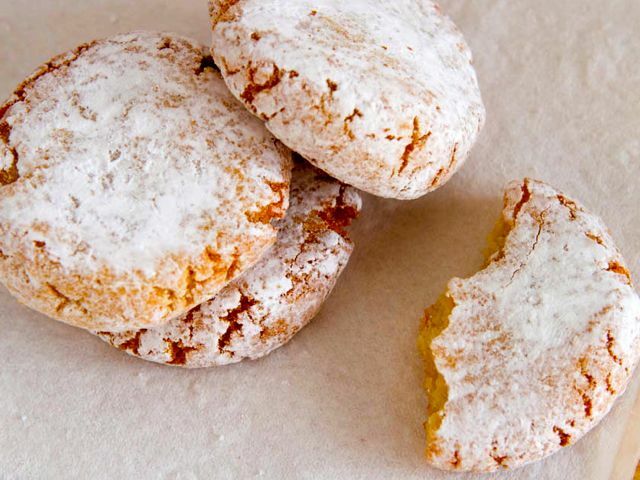 These chewy little almond cookies from Siena are naturally gluten-free. Topped with a generous amount of powdered sugar, they have a sweet, snowy appearance. Easy to make in a short amount of time, ricciarelli are a great project for kids. Make sure to use a brand of almond flour with a fine texture; I use Bob's Red Mill. Let sit, uncovered, on the counter for about 45 minutes, or until the surfaces dry out just a touch. Preheat the oven to 250 degrees.